Joe is a litigator at Carlson Caspers who focuses primarily on patent, trade secret, trademark, licensing and contract disputes. He has worked on matters involving a wide array of established and emerging technologies, from apparel, lawn care, concrete retaining wall blocks and paint, to complex optical, medical, telecommunications and three-dimensional printing products. 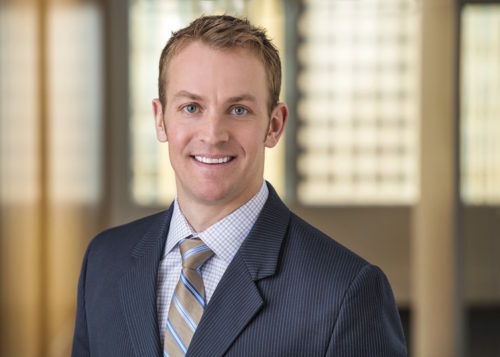 Drawing on this broad experience, and his degree in mechanical engineering, Joe quickly identifies the core issues facing his clients and develops solutions that meet the unique business, competitive and legal challenges they face. In addition to litigation work, Joe advises his clients on patent portfolio management, pre-acquisition and joint venture due diligence, and provides freedom to operate opinions. He has conducted IP portfolio investigations on behalf of leading innovators in a number of technology areas, including medical implants, pacemakers, surgical instruments, telecommunications and three-dimensional printers. Joe also worked on the development and ultimate sale of a large patent portfolio relating to 4G wireless communication technologies. Joe is a member of the Leaders Council for the Legal Services Corporation (LSC), the single largest funder of civil legal aid for low-income Americans in the nation, and also serves on LSC’s Opioid Task Force. He has repeatedly been named a “Rising Star” in Minnesota Law & Politics magazine.